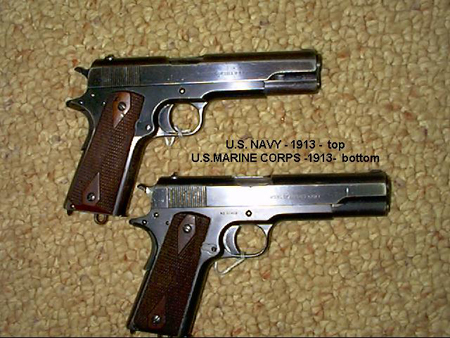 Here are two examples of US Navy and US Marine Corps 1911 pistols. The pistol shown on the top is a Navy model made in 1913. The lower pistol is a USMC model also made in 1913.